Every July for the past seven years, I find myself, for two amazing weeks, caught up in the whirlwind that is the Washington Kastles. 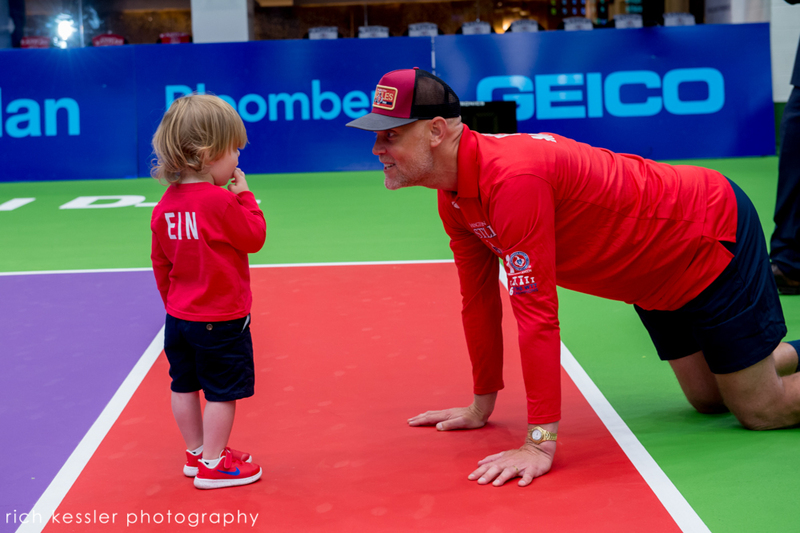 I always look forward to Kastles season, as I get to go back to work for one of the best teams DC sports and easily the best group of photographers I’ve been able to work with. The Kastles celebrated their 10th anniversary and while we welcomed back stars like Martina Hingis, Venus and the Bryan Brothers we also welcomed some new faces, with Frances Tiafoe and Bruno Soares coming on board. In celebrating 10 years fans were treated to the first ever bobblehead giveaways in team history, an encore performance from DJ Kool and even a visit from the Governor himself, Terry McAuliffe. 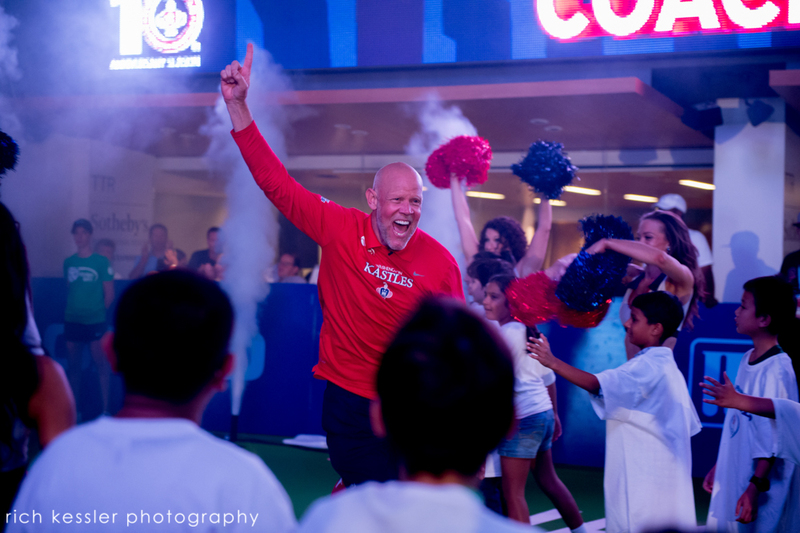 Over the past seven years the one constant on the Kastles has been Coach Murphy, who is not only one of he most colorful characters in all of tennis but probably all of sports in general. Being able to hang out with Coach every season is easily the perk part of the job. 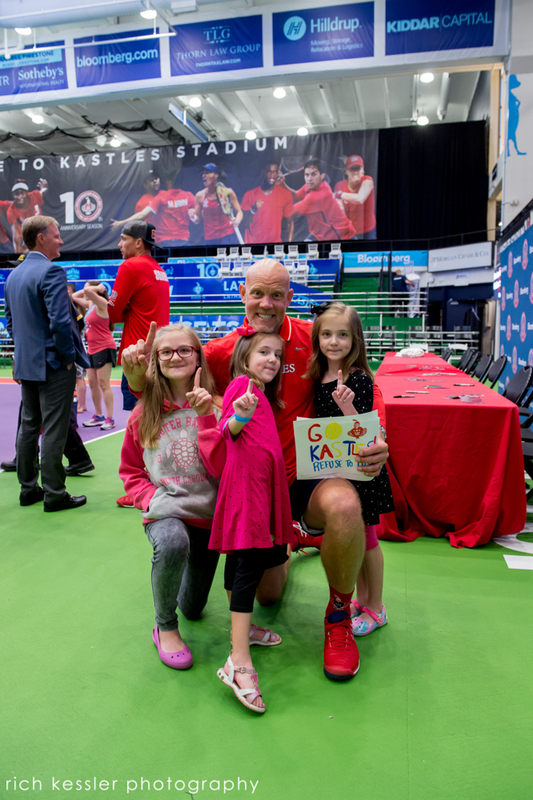 He’s always been great to the entire Kastles staff and, as an added bonus, my kids love being able to come out to a match and spend some time with Coach. While this year didn’t go as planned record-wise, it was one of my favorite seasons to shoot so far. Looking back through photos for these two posts and the emotion in every photo from Madison Brengle, Anastasia Rodionova made it difficult to narrow down what I wanted to showcase here. © 2019 Northern Virginia Wedding, Family Photographer|ProPhoto4 Blog by NetRivet, Inc.